James Bond faces his most diabolical challenge of all time -- modern life. The cultural icon that role-modeled behavior of men for generations was pushed into retirement 20 years earlier in a feminist rebellion at Regents Park. 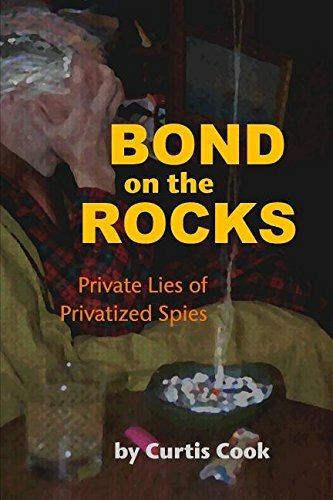 He has blown through the personal fortune he accumulated as an irresistible and heavy-drinking super spy and survives on a modest pension in a world stumbling toward globalization, privatization and war. He is a jobless senior citizen on the brink of losing his Chelsea flat to the bank. "Very sad, very troubling but actually very funny all at once. We witness the real-world frailties, humiliations, joys, quirks and anguish of human struggle that the mythical hero has always managed to keep off-camera." Mary Goodnight calls on him and is appalled at the pathetic version of the man she had once served and loved. She connects him with the former 006 who is now CEO of a flourishing private corporation in the emerging international security industry. Despite misgivings over the loyalties and principles of private enterprise, Bond finds the incentives, perks and female staff highly appealing. He is dispatched to Saddam Hussein's Baghdad to locate and buy off a Russian physicist who absconded with plans for an advanced missile defense system. But the physicist is a stubborn, Soviet-era Communist who resists all offers to relocate to the West. With a major bonus at stake, Bond resorts to enhanced interrogation to uncover the missing plans - a bad move. Banned in the U.S., "Bond on the Rocks" (unsanctioned by the Franchise) is still available at reasonable cost in Canada, Japan, Cuba, New Zealand, China and many other countries that adhere to the "life plus 50" rule of the Berne Convention. Unlike the recently released Licence Expired, Bond on the Rocks is currently available on the U.S. Amazon. It also says inside that it's "Printed in the USA." Seems this one is pushing the Bern Convention rule, so if you want it, I would act fast. I'm still amazed this is happening at all. Is this a real novel or some type of fan fiction garbage. As this appears to be self-published, I'd consider this more fan fiction than Licence Expired, which was released by an indie publisher. But the line is fine. HEY!!!!!!!! I beg your pardon. This is a real novel. It is not "fan fiction garbage". Please. It is a critical examination of the cultural icon in the form of literary fiction, not even a spy thriller as such, although Bond is dispatched on a mission that requires his unique skills as a super spy but it does not work out as planned. It is an attempt to project Bond 20 years past his 'sell by' date to the real world we inhabit that is dominated by globalization, privatization and wars of adventure. It's not for everyone, but for God's sake it is not fan fiction. Sorry, I just had to get that out. See my reply to Julia. 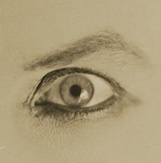 I would urge you to take a closer look before you dismiss the book as fan fiction. I haven't seen License Expired so I won't pass judgement on it except to say that it is a compilation of short stories rather than a full-length, in depth examination of the character based on the original novels and not the Hollywood nonsense most people are familiar with. It is an homage to Fleming's work but with a critical angle. I'm 3/4 through the book, and quite enjoying it. There's enough "Bond" in the character to make it interesting and a worthwhile read, and clearly an examination of a spy fallen on hard times, and feeling the effects of age and a changed (espionage) world; trying to regain a sense of purpose. And the writing itself is actually pretty good. My only gripe, and it's a big one, is that there is no consistency regarding Bond's past. When previous missions or Fleming characters are discussed, it seems the author only did a modicum of homework as details or even character names (Fred Lieder?!?!) are completely wrong. It's those kinds of details that can make or break a Bond continuation "novel", parody or not. Instead of the knowing wink and smile you'd get with an intact thread to the Fleming books, the missed information takes you right out of the story and is a real disappointment. 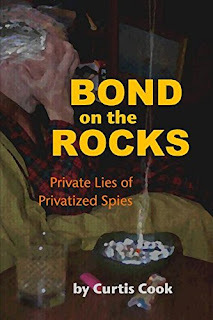 But beyond those missteps, and there are a few, the story is a wonderful meditation on Bond as a real person, dealing with issues many elderly people face in their daily existence. As i said, i'm not done reading it yet, and Bond's just embarking on the "mission", so we'll see how this pans out. Check here for a bio blurb on the author of this book. Thanks. So he plans two more books, eh? But he seems more activated by his politics than any love of James Bond. That's kind of a turn-off for me. My thought exactly. :-) I had the book in my Amazon cart until I found that blurb. Then I deleted it. Frankly, the book is an admiring tribute to James Bond who has been abused, enabled, tortured, left for dead and now made into a perpetual high-fashion stooge by the film industry. If you really want to know James Bond try reading Fleming's original books before you pass judgement on this one. He is quite different from the Hollywood version and was more of a human being than any one of the many market driven interpretations you will find on the screen. Thanks for putting my book in your cart though, even if just for a short time. 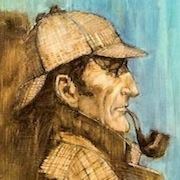 Sherlock Holmes entered the same phase but it didn't harm the character. There are still great Holmes novels being written. It'll make it harder to track them all down if some are low key but it should change IFP's output. What are options for purchasing the book? The only one I can find is amazon.ca, which won't sell it to a U.S. address.